Chanteur Country US né le 15 Août 1933 à Bloomington (Indiana). Bobby Helms a débuté dans une télévision locale en 1946. Au début des années cinquante, influencé par Hank Williams, il enregistre plusieurs Hillbillies pour le label Speed Records fondé par Chuck Gregory à Nashville (Tennessee). 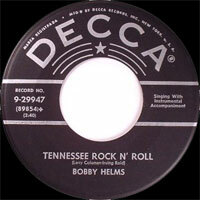 Ensuite Bobby signera avec Decca et enregistrera un petit chef-d'oeuvre du Rockabilly, le fameux "Tennessee Rock 'n' Roll". Il est décédé le 19 Juin 1997 à Martinsville (Indiana). 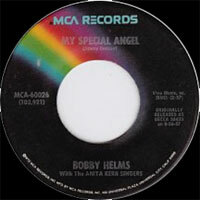 Though his name is unfamiliar to most, Bobby Helms rules the airwaves every year around December 25th. 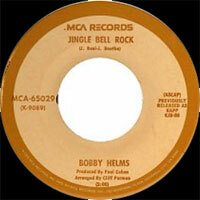 His single "Jingle Bell Rock" first became a hit in 1957, and it reappeared on the charts four of the following five years to become an all-time Christmas classic. 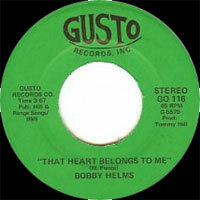 Before he was pigeonholed, though, Helms had a successful country career with two number one hits to his credit. 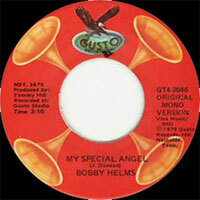 Born on August 15, 1933, in Bloomington, IN, Helms first performed on his father Fred's Monroe County Jamboree, singing while brother Freddie played guitar. The Helms Brothers, as they were billed, became a regional attraction. 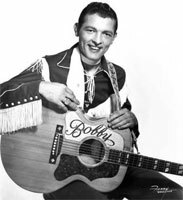 Bobby later cut a single called "Tennessee Rock and Roll," but then returned to Bloomington to appear on the Hayloft Frolic television show. While on the program, he was encouraged to go to Nashville to sing background Vocalss on an Ernest Tubb session. 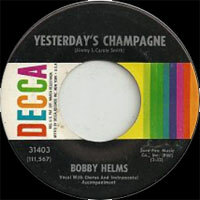 Tubb recommended him to Decca Records, and the label signed him in 1956. 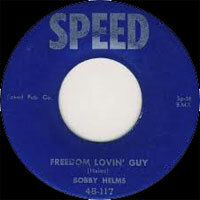 His debut single, "Fraulein," initially flopped in January 1957 but then hit number one on the country chart in April. 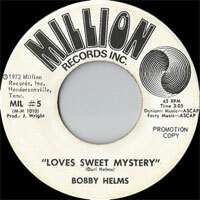 (The song also hit the pop Top 40 in July of 1957.) 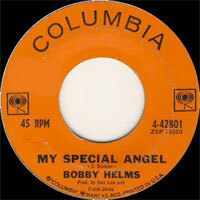 In October, Helms released another number one, "My Special Angel," which stayed four weeks at the top and crossed over to number seven pop. 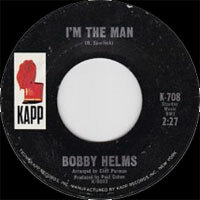 Helms toured throughout the '60s and recorded two albums for Kapp in 1966, I'm the Man and Sorry My Name Isn't Fred -- a nod either to brother Freddie or father Fred. 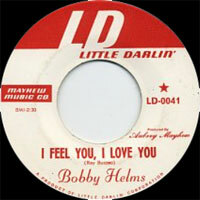 Two years later, he released All New Just for You on the Little Darlin' label. 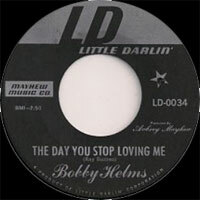 Several singles placed modestly on the country charts during 1967-1968, including "He Thought He'd Die Laughing" and "So Long." 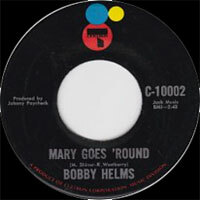 The 1970 Certron single "Mary Goes 'Round" was his last hit, but Helms recorded Pop-a-Billy for MCA as late as 1983. 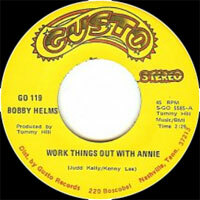 1971 SP AMERICAN NATIONAL SOUND 102 (US) . Hand In Hand With Love / ? 1976 SP GOLDEN ANGEL IRDA-187 (US) . Every Man Must Have A Dream / ? 1976 SP GOLDEN ANGEL IRDA-342 (US) . You / ? 1983 SP BLACK ROSE BR-82713 (US) . 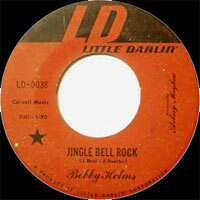 Jingle Bell Rock / ? 1986 SP PRETTY WORLD PW 010 (US) . I'm The Man / ? 1987 SP PLAYBACK P-1328 (US) .